A B-52 bomber is approaching its primary target: rail yards in the Beloostrov district of Leningrad. Intel reports the area is likely defended by S-25 Berkut and S-75 Dvinia surface to air missiles (SAMs), but this close to the target the gigantic bomber can’t afford to make the evasive maneuvers, known as combat turns, which would help shake off enemy air defenses. From his position behind the co-pilot, the electronic warfare officer (EWO) reaches over and sets the C-1282 for continuous chaff ejection. Hundreds of thin metallic strips are jettisoned from the B-52, confusing tracking radar and allowing the bomber and her crew to slip through the Soviet air defenses and drop 50,000 lbs of ordnance directly onto the target. Luckily for all of us, this event never actually occurred. But it was a possibility that the United States and Soviet Union had prepared for extensively. Both sides developed ever more capable weapons, and for each new weapon, a new countermeasure was invariably created. 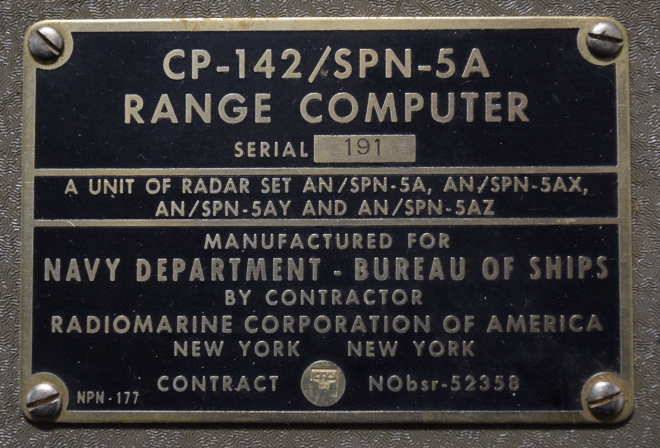 The C-1282 is a component of one such countermeasure, a device that allowed the B-52’s EWO to configure and monitor the bomber’s automatic chaff dispenser. With the C-1282 handling the anti-radar countermeasures, the bomber’s crew could focus their attention on completing their mission. Of course, as is the case with technology (military or otherwise), the C-1282 was eventually phased out for something new. These old units, now largely worthless, were destroyed or sentenced to a lifetime collecting dust on a storeroom shelf. But through the magic of the Internet, one of these devices is now ready to be laid bare for your viewing pleasure. Dust off your Joseph McCarthy Junior Detective badge and come along as we take a look at a state of the art piece of Anti-Ruskie technology, circa 1960. It’s time once again to see how those tax dollars are spent, this time in the form of a “Data Entry Keyboard” manufactured by Hughes Helicopters. 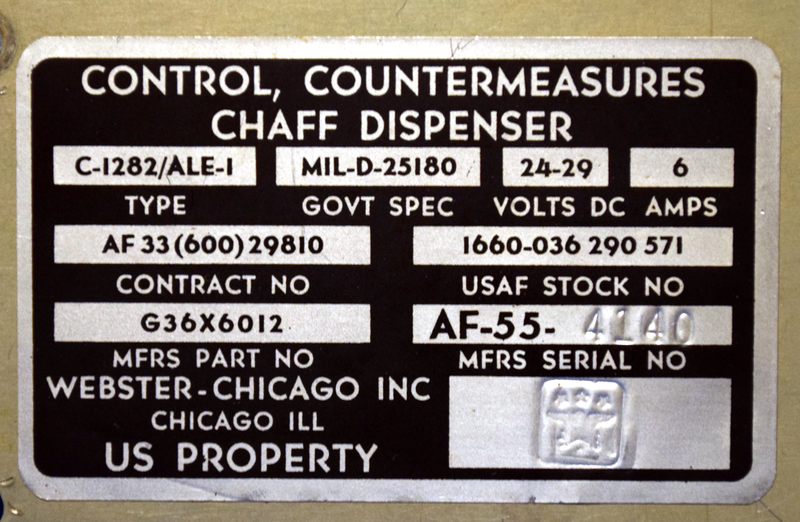 This device was built circa 1986 or so, and was used in the AH-64A Apache. Specifically, this panel would have been located by the gunner’s left knee, and served as a general purpose input device for the Apache’s Fire Control System. Eventually the Apache was upgraded with a so-called “glass cockpit”; consolidating various vehicle functions into a handful of multi-purpose digital displays. As such, this particular device became obsolete and was pulled from the active Apache fleet. The military vehicle aficionados out there may know that while the Apache is currently a product of Boeing, it was originally designed by Hughes Helicopter. In 1984, McDonnell Douglas purchased Hughes Helicopter and took over production of the Apache, and then McDonnell Douglas themselves were merged with Boeing in 1997. 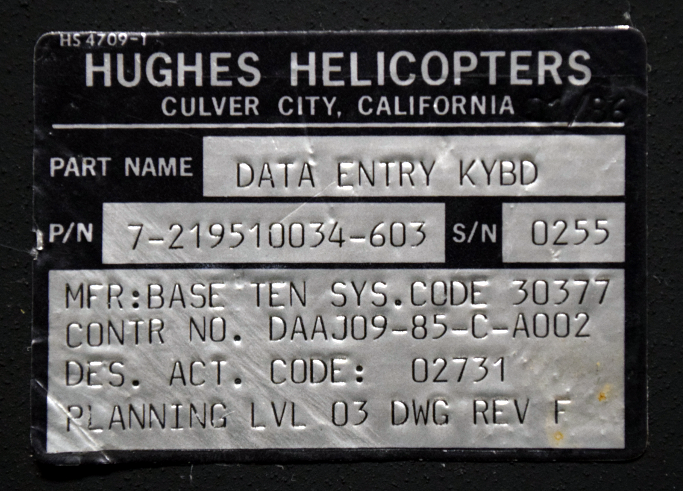 So it’s somewhat interesting that this device bears the name of Hughes Helicopter, as of the time it was manufactured, they would have been known as McDonnell Douglas Helicopter Systems. Presumably they had to work through existing stock of components that already had Hughes branding on them, leaving some transitional examples such as this one. But you didn’t come here for a history lesson on the American military-industrial complex, you want to know about the hardware itself. So let’s crack it open to see what we can learn about this piece of aviation history.